Peel Tester – for 180 Degree Testing | IMADA CO.,LTD. Easy Use for 180 degree Peel Test. Graphing and Auto Calcuration are Available. The Specialized Tester for peel test improves your testing efficiency. 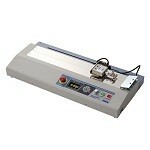 It provides easy setup for sample and testing speed. Also, it includes a software for graph drawing and auto calcuration of max., min., and average force. It reduces the time of testing and data management. If you are interested in other products for peel test, please see Peel test fixture. If you are interested in solutions of peel test, please see Peel test solutions. 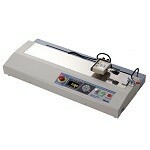 Peel tester IPTS-5N can perform 180 degree peel test of embossed career tape complying with IEC and JIS standards. Peel strength tester IPTS-20N/50N can perform 180 degree peel test of such as adhesive tapes, stickers and the like easily and precisely.